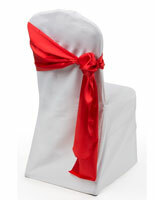 Is your business looking for chair covers & sashes to bring a more elegant feel to your next special event. Banquets, weddings, and baby showers immediately feel more sophisticated when seat coverings with bows are paired with table linens, runners and napery. 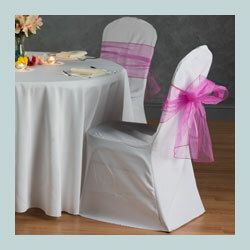 The chair covers & sashes, like napkins, are easy décor accessories to use to spruce up the design of any table setting. Use the organza ribbons for a more light and airy feel because they are opaque. These chair covers & sashes that are made of satin are perfect for evening wedding receptions, galas, or high-end fundraisers. 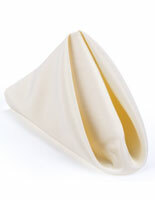 These napkins with wholesale pricing are great additions to many dining rooms and because they come with so many options, caterers and hotel managers are sure to get exactly what they want. The satin and organza seat bands are also available in many colors to offer brides-to-be a choice that will accentuate their chosen ceremony shades. These napkins for business dinners paired with our wraps and ribbons are sure to make your gathering spot the favorite among those customers looking for a sophisticated special event dining room. In what colors are the napkins, seat wrappers and elegant ties available? 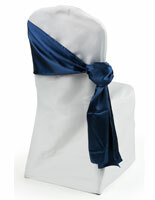 These chair covers & sashes are sold in shades that truly complement one another. These coverings are sold in white for the ability to blend into any dining room décor and to really allow the colors of the satin and organza ribbons to stand out. The seat bands are where the real variety is in this category. The organza and satin bow ties are sold in purple, red, silver, gold, turquoise, fuchsia, black, chocolate and royal blue. 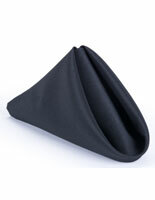 There is also navy available in the solid, but not the opaque fabric. The individual table linens for laps are available in 17” and 20” squares to suit individual preference and have colors of white, black and ivory so that they can match your covers, table cloths or both. All colors help to accentuate whatever special event decorations are used in the banquet hall. 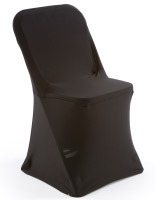 Many occasions are perfect for using these chair slipcovers and bands. What’s great about the special event décor is that there are so many ways to decorate with them. 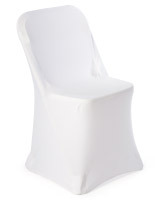 People can choose to wrap every seat in white with a colored band or many just the speakers’ table, bridal party seating or those special people being recognized at the banquet. 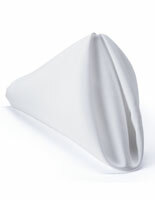 Of course, these coverings can also be used by themselves with not additional satin or organza bows. Table runners are sold in the same color palettes as these seat ribbons are can be used in conjunction with them to offer a complete table décor design. The covers and sashes are typically seen at weddings, but at just as suitable for baby showers. Make everyone attending feel special while honoring the mom-to-be. Charity events and fundraisers are also another great event where these elegant accents can be used. Award ceremonies and banquets will make attendees feel even more special when chair slipcovers and bands of satin are placed around sophisticated table linens. The wholesale pricing on the covers and sashes allows any hotel, restaurant, or caterer to outfit an entire space and not break the budget doing it!